In teaching English, we address two very different tasks: exploration of the humanities and acquisition of skills. Students learn through literature what the world has been and what they themselves may become. The English Program consists of four interrelated components: Reading, Writing, Speaking, and Listening. Through small classes, students have genuine opportunities to learn and grow. Reading is approached both as skill and art. 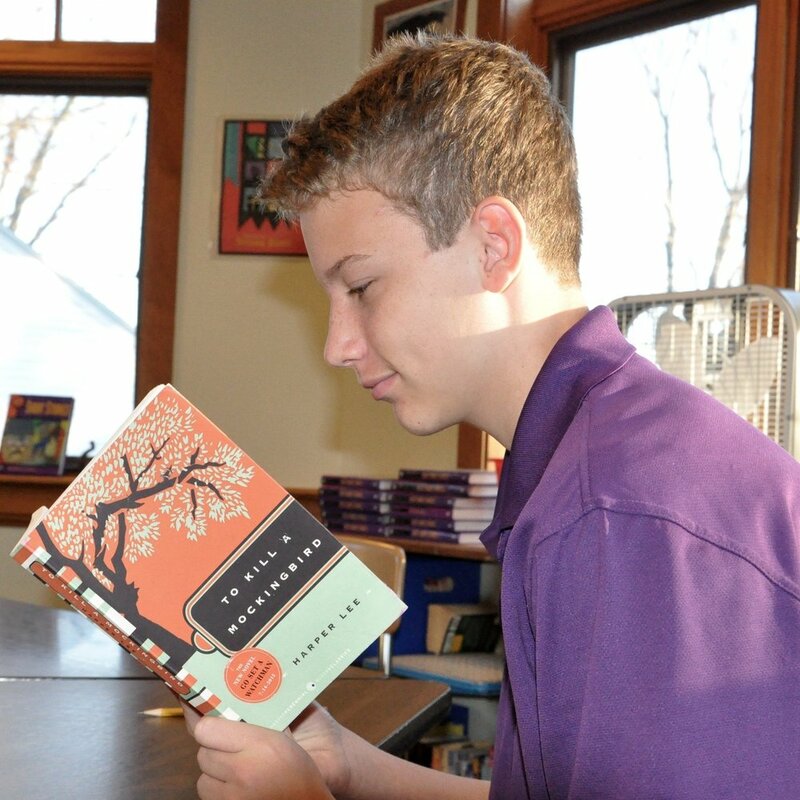 Students learn to read for information and for pleasure through a broad range of activities. As the student moves through the grades, comprehension and word analysis skills continue to be taught and reinforced with materials of increasing complexity. A variety of genres are explored: poetry, drama, the short story, the novel, and the essay. Both the skill and art of writing receive major emphasis at all grade levels. Students learn to clarify and communicate their thoughts and to practice them for basic modes of expression. In the lower grades, students begin to translate their experiences into written language. In the upper grades, the narrative, expository, and descriptive modes are emphasized. Virtually all the activities in English class call into play the skills of speaking and listening. Students learn to speak before the group and to listen to others. Discussion technique emphasizes the basic responsibility of all students as speakers and listeners, to be sensitive to an considerate of others.